Welcome to The Scribe’s Desk. I’m so glad you are here. 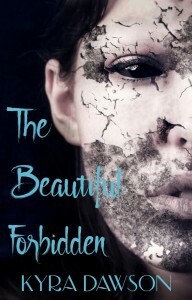 It must mean that you are interested in reading my latest YA fiction Wattpad story The Beautiful Forbidden. Meruself has a terrible secret. Desperate to escape her shame she lives at the edge of the haunted Hella Wood in exile, an outcast and a hermit. The townsfolk of Saga call her a daemon witch behind closed doors, whispering behind their hands, watching her with fearful eyes. Only a brave few dare to come near her while the rest are only willing to tolerate her out of necessity. All who encounter Meruself treat her with a wary apprehension that should only be saved for a monster. But a monster is what she is. Monstrous things are what she does. Embracing the monster is what she must do if it will purchase her freedom. Faced with the slim chance of redemption and a kindling hope for connection with another soul, a soul that calls to her own, Meruself fights to stay alive, right her wrongs and save the world that she loves. Happy reading! And thank you. It means the world to me! 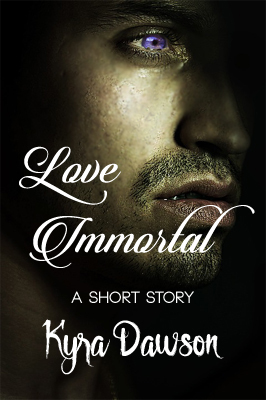 Want to give feedback or comment on the story you just read? You can reach me on Twitter @KyraDawson or on Facebook. As always and most of all, I value your privacy. I will not sell, rent, loan, or give your email address or other personal information to anybody without your express permission.